Remnux is a lightweight Ubuntu based Linux distribution, which is specifically developed to help reverse engineer and analyze malware. It contains a wide range of apps and features which are mandatory for successful analysis of malware. Forensic investigators and incident reporters can use this tool kit to analyzing Windows and Linux malware, browser-based threats, and explore suspicious files. New release of this tiny distro is out now, we will be reviewing the primary features and installation process of REMnux 6 in this article. Here are some of the noteworthy features of this Remnux 6. The installation process for this distro is bit different, you don’t need to download ISO, Burn it and start the installation wizard. Instead REMnux provides a ova file to download. We need to import this file using any virtualization tool and then use the operating system to carry out analysis tasks. We will show the installation process of this operating system using Oracle Virtual Box virtualization tool. 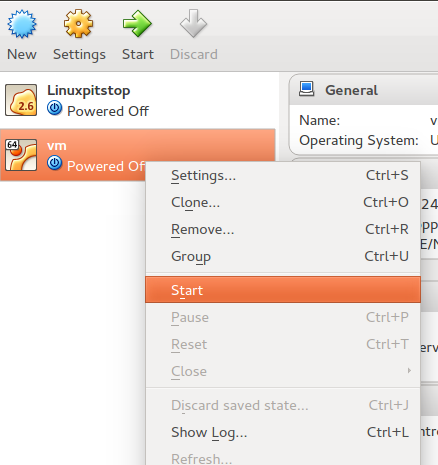 Ubuntu users should run following command on terminal. Windows users should download its executable file and run installer. 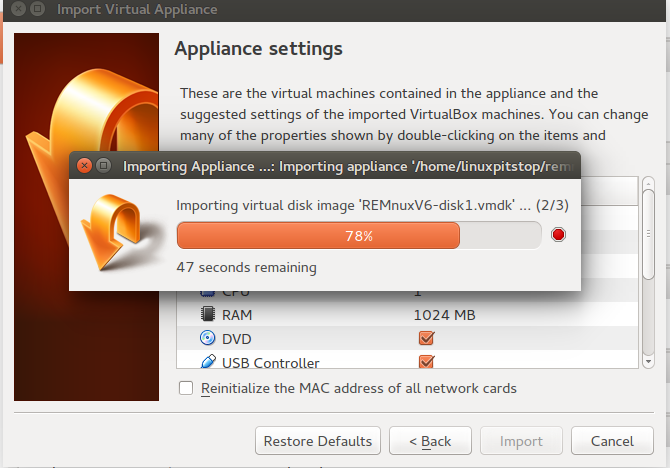 In order to install REMnux, First of all download its ova file from following location. 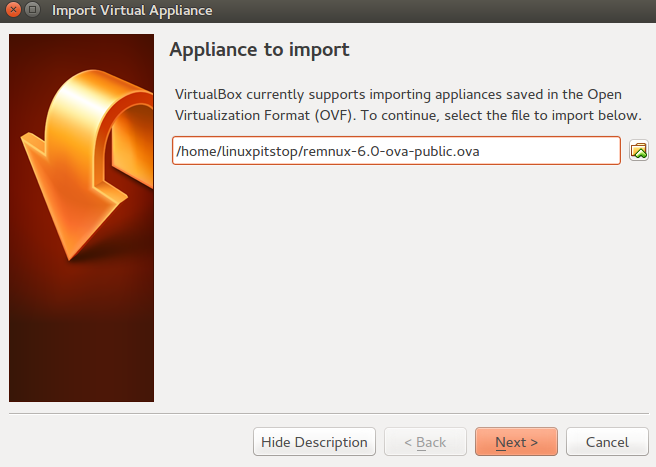 Once the download process is complete, launch Oracle Virtual Box and click on File >> Import Appliance. 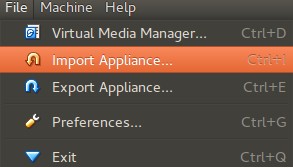 Tip: Kindly note that all good virtualization tools offers you this feature to import and export appliances, if you are using some other tool, you should be able to locate and use the similar option. Alright, now browse and provide the physical path to your downloaded REMnux ova file on this step. Once done click “Next” to proceed to the third step, It will list you a summary of the import option, you can change resources like CPU, Memory etc from here, otherwise keep default option and hit “Import” , The import process of ova to a new VM will be started immediately. 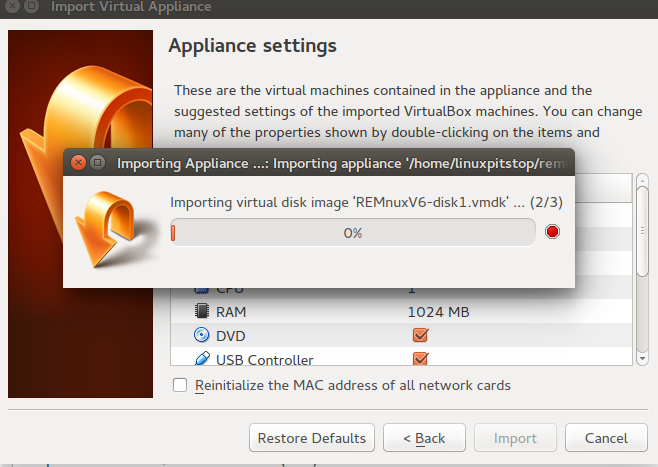 As soon as the import process completes, you should be able to see it in Virtual Machines lists in Powered off mode. Simply right click it and choose “Start”. It will boot your REMnux 6 operating system, Login with username “remnux” and default password “malware”.